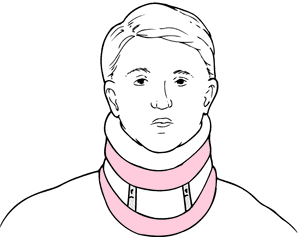 Splinting device used to stabilize the neck. n a leaded device positioned over the throat roughly midway between the chin and collarbones. Used because extended exposure of the thyroid gland to radiographs can cause thyroid cancer. See also apron, lead. 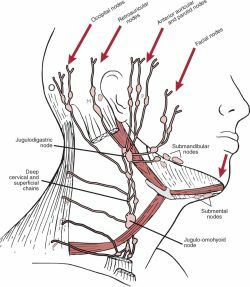 Lymphatic drainage of the face. To control his ranging too far, which most hunters don't want, I would suggest using the c-collar like a clicker. Upon arrival to NNMC, the patient had a GCS of 6, was on a ventilator, and had a C-collar and bilateral lower-limb wound drains in place. For example, as Dave Carty notes in this issue's "Point" column, the c-collar is highly effective in reinforcing the recall command .